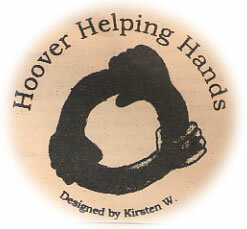 Hoover Helping Hands (H3) aims to be a network of help and support for Hoover families facing a "life-change" situation or crisis. As parents and staff we want Hoover to grow as a caring community. It is our hope that when some of us are dealing with challenges, the rest will rally round with practical help and encouragement. Examples of "life-change" situations include an accident, severe illness, death, birth/adoption in the family. Families facing such situations should contact an H3 coordinator if they would like help. Inquiries will be kept confidential. Examples of practical help currently available include the provision of meals several times a week, or rides for children to and from school for a limited period of time. H3 team coordinators will work with families on a personal basis to determine needs and coordinate helpers to take action. The family receiving help will be encouraged to inform their child's teacher(s) of their situation. Meals should be delivered either via school or directly to the home. depending on what is agreed with the family. Meal providers should be willing to follow dietary restrictions. Disposable food containers should be used whenever possible. When arranging rides, the family must let their child's teacher(s) know of the new arrangements. The (H3) team will put the family and its ride provider in contact with each other. Arrangements for rides should then be worked out directly between the two parties. The family must inform their child's teacher(s) of new ride arrangements. It is the responsibility of the ride provider to ensure their insurance is sufficient to carry all passengers. The (H3) network will work only if we have the support of the whole Hoover community, and if enough Hoover families sign up to be part of the team. If you are willing to be on an "on-call" list, or keep a few frozen meals ready for an emergency, or if you are able to help in any other way, please let us know by filling in the form. Please pick the brochure up at the office.